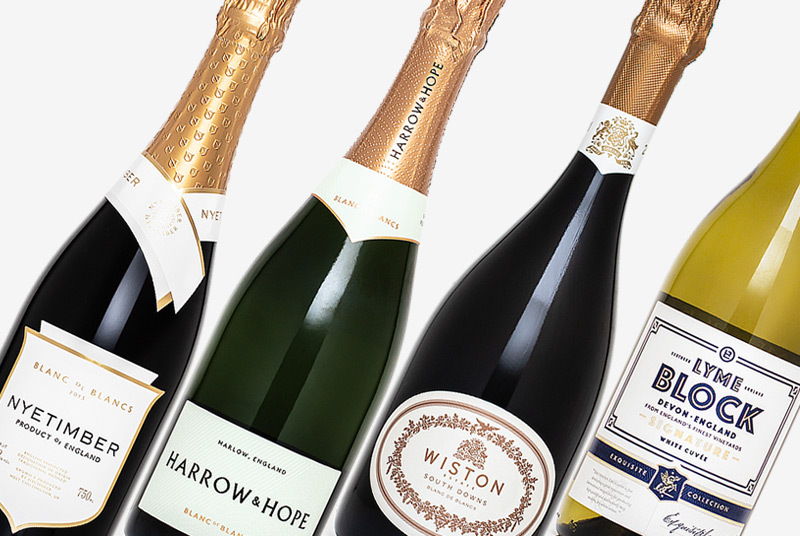 With the focus being firmly on Chardonnay, Pinot Noir, Pinot Meunier and Bacchus as Great Britain's leading grape varieties for the last few years, it was about time another grape came to the forefront. 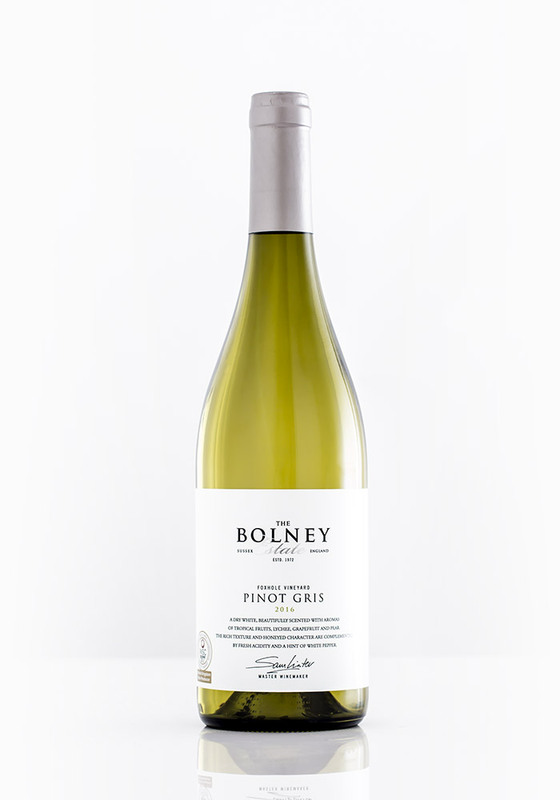 This year Pinot Gris has done just that, with Sussex's Bolney Estate leading the way with their multi-Award winning Foxhole Pinot Gris 2016. This wine famously took the title of 'The most outstanding Single Varietal Wine' at 'Top Still Wine' at the inaugural 2017 UK Wine Awards and contributed towards Bolney being crowned with the Winery of the Year Trophy. 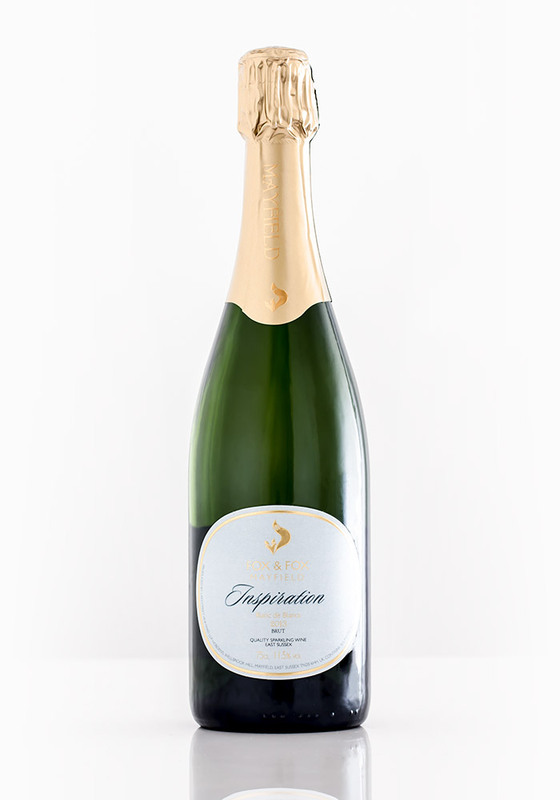 Then, Fox & Fox reached out and captivated the same judging panel with their unique Inspiration Blanc de Blancs Brut 2013 - a Gold Medal winning sparkling Pinot Gris. With both wines gaining such high acclaim, it was about time that the GBW team turned our attention to Gris. And so we did, scouring the country for wines to taste alongside both of the medal winners. As always, a diverse but thoroughly enjoyable tasting ensued. Our full tasting notes for all eight wines, including our top three choices can be found below. About the Winemaker: Greyfriars Vineyard was taken over in 2010 by Mike & Hilary Wagstaff, who have transformed the business under their tenure. It now includes almost 50 acres of land under vine and a state of the art winery and chalk cave. An intriguing nose that stands out thanks to its distinct ripeness of peach and red apple with the complexity of hazelnut and smoky notes. 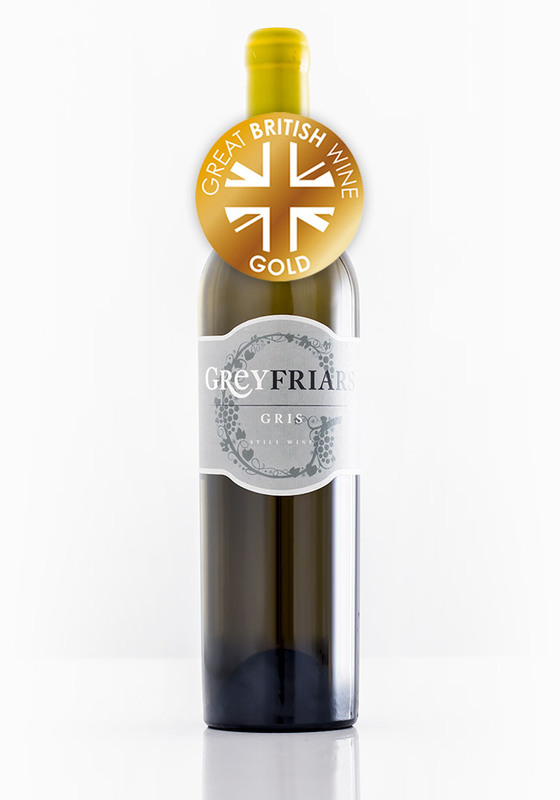 The Greyfriars Gris was the standout wine of the tasting, binding together wonderfully ripe stone fruit flavours with the texture and weight that thoughtfully integrated oak and malolactic fermentation brings. Andrij described this wine it as peach melba – which I think perfectly sums up the charming ripe peach, creamy weight and warming vanilla notes. However, it still has that striking acidic backbone that keeps everything in check. A beautiful and versatile wine, and remarkably the cheapest in our lineup at £13.50 when bought directly from Greyfriars. Where to Buy: Greyfriars Vineyard, Hawkins Bros.
About the Winemaker: Founded in 2007 by Simon Woodhead, Stopham Vineyard was founded with the intention of making England's finest still wines. A ripe juicy nose full of juicy stone fruit, peach, red apple and it just draws you in with its richness. Warming and full fruit that verges into ripe tropical notes. While the fruit character is so complete, there’s a brilliant cutting acidity that brings perfect poise and balance. A vibrant, colourful and exciting wine! Where to Buy: Stopham Estate, Hawkins Bros.
About the Winemaker: Established in 2008, Martin’s Lane is a grower-producer with currently 18 acres under vine in the River Crouch estuary, Essex. A beautiful and elegant nose with a delicate fusion of white peach and blossom, with tropical fruit salad and fresh citrus notes. 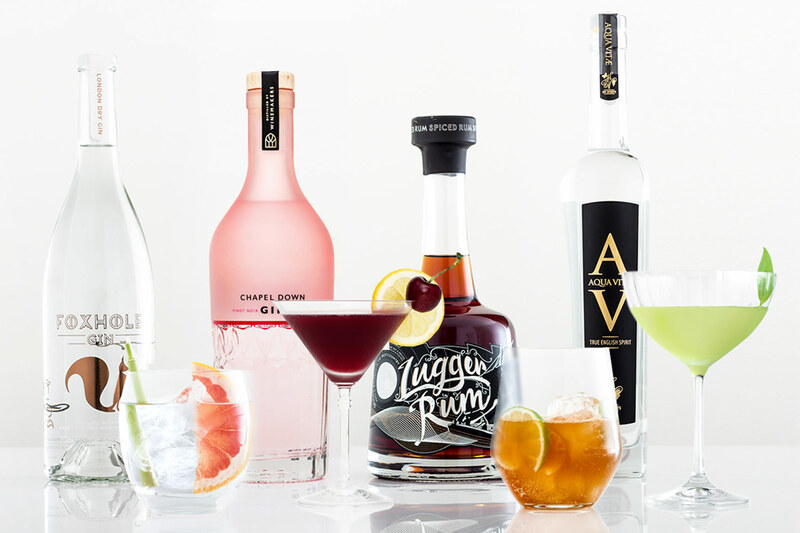 This wine has a fantastic and balanced palate, with youth on its side allowing tangy, zesty lime, while juicy peach and hints of tropical fruit shine through. Brilliant, lively acidity with a durable, lasting finish of lime zest and pineapple. A very punchy and competent wine, this wine feels like a very confident stylistic approach to English Pinot Gris, with a strong backbone and defined fruit character. Very fresh clean nose with floral, green apple, peach and peach blossom notes. Flavours of green apple and pear, lime zest and light citrus flavours with a pronounced acidity. The wine was very pleasant but lacked definition and standout qualities compared to others tasted. Though we tasted blind, we did comment that this was stylistically closest to a Pinot Grigio, so when it was revealed what the wine was, the choice of name certainly made sense. About the Winemaker: The Bolney Estate, established in 1972 is a family business based in West Sussex. The Foxhole Bacchus is one of their flagship still wines. Quite open on the nose, with red apple and white peach aromas as well as a fusion of lime zest and tropical freshness that leaps out the glass. Hints of vegetal and mineral character. The palate is punchy with lots of lime zest, tangy tropical fruit and brilliant acidity. What surprised us was this wine had quite a prominent aromatic floral character that was quite different from the other wines tasted. About the Winemaker: A recently established English Wine producer from Kent, with the first vineyards planted in 2013 & 2014. Pinot Gris is one of four grapes grown, and this 2016 comes from the vineyard's second ever harvest. 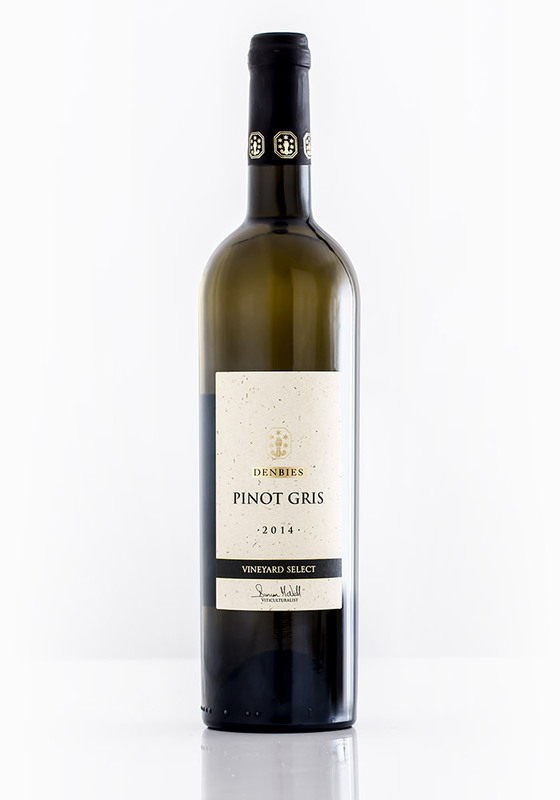 Floral notes of white blossom, pear and melon and lemon – very clean but with minimal complexity, we felt it was more in the Girgio style than Gris. To taste, we felt the wine had a slightly higher sweetness up front, which soon faded and gave way to high acidity and citrus zing. It felt a little young and green overall, with green apple and tart lemon zest. Overall a very subtle and delicate wine, but the palate did not feel quite as balanced as some of the other wines in the lineup. About the Winemaker: Denbies Estate is based in Dorking, Surrey and has a huge 265 acres of land under vine. The wines are made on site in conjunction with the Litmus Wines team. Very appealing nose of green fruit, apricot and nectarine with honeysuckle, vanilla and spice. Hugely attractive and inviting. 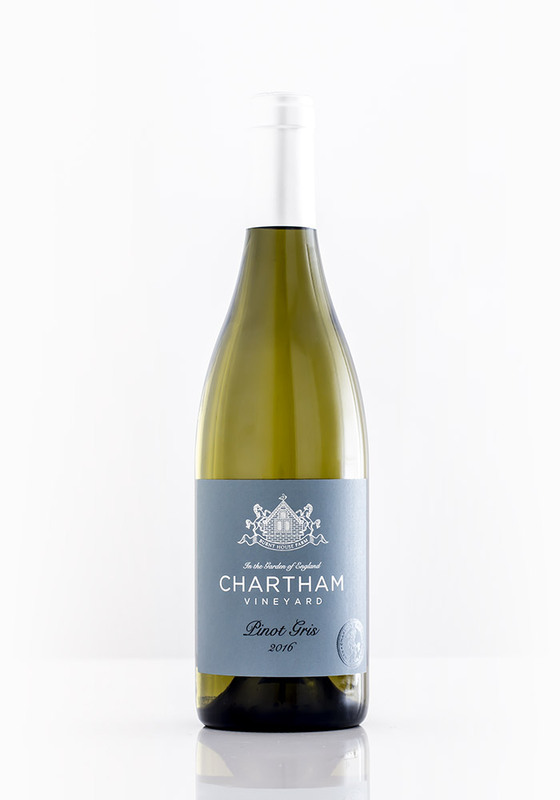 The Denbies has lots of ripe stone fruit flavours – warm, ripe peach and apricot with lovely honeyed overtones. Much like the Greyfriars wine, the presence of oak has left a prominent imprint on this wine, with a perfumed vanilla and smoked profile. However, the acidity did not feel quite as well integrated so the wine was not as well balanced as its other Surrey counterpart. 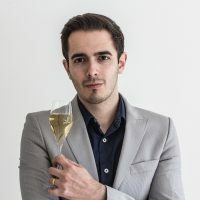 About the Winemaker: With 9 acres of stunning vineyards in Mayfield, Jonica and Gerard Fox produce a range of distinctive and exciting sparkling wines. A unique Pinot Gris in our lineup; a rare sparkling Gris, made with a small amount of Chardonnay for balance. On pouring the Fox & Fox it impressed us with its lively bubbles and golden tones. This wine was a fascinating contrast to the still Gris we tasted, as the honeyed stone fruit notes of the very best still examples were once again present in the Inspiration. Linear and bracing acidity with crisp citrus freshness, green apple linearity brings focus and precision. It should be noted that this is a very versatile food pairing wine, delicate enough to pair seafood, but cutting enough to provide an excellent embrace to lightly spiced Asian dishes. 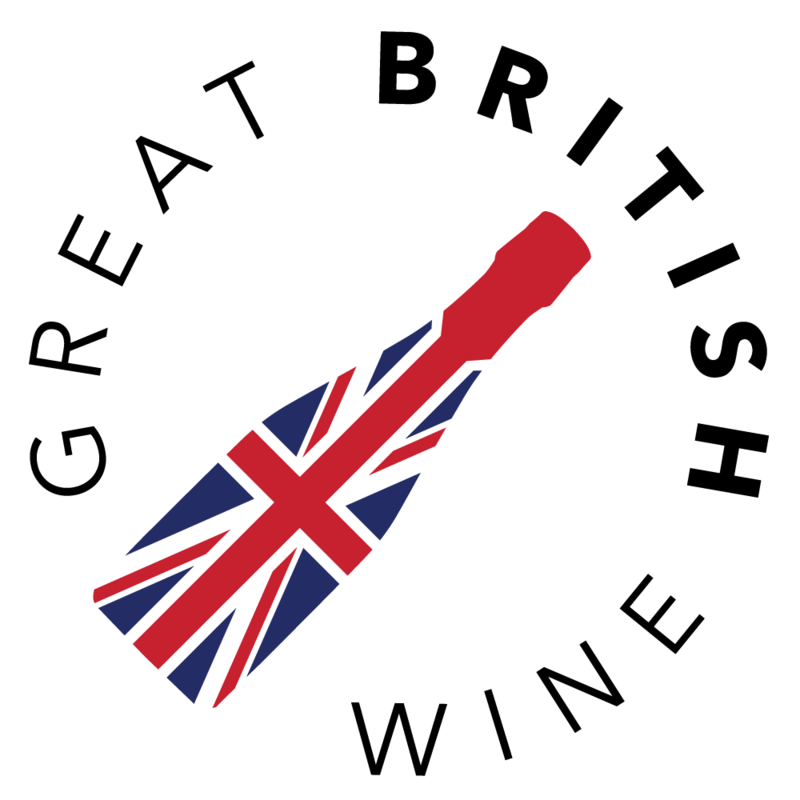 It was great to have the opportunity to try almost every single varietal Pinot Gris that currently sits on the English wine market. Of all the Spotlight Tastings we’ve conducted to date, this was probably the most diverse we’ve held in terms of the variety of approaches and expressions demonstrated across eight wines. 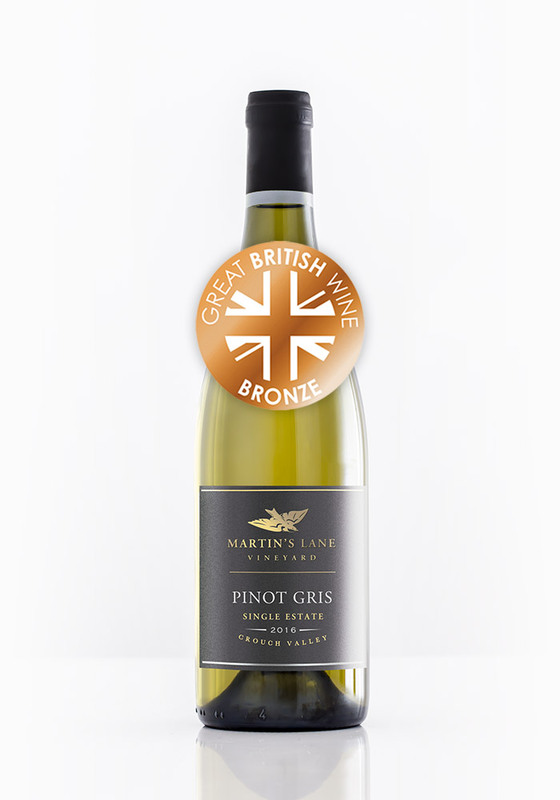 With producers like Bolney Estate and Martin’s Lane opting for a fresh, clean and approachable style – there’s no doubting the potential commercial appeal of English Pinot Gris. 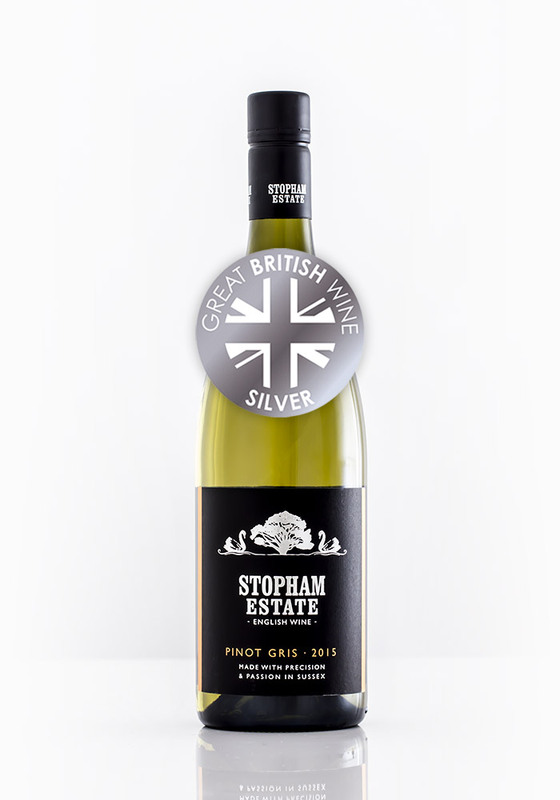 One of the standout wines was from of the Country’s most well respected still white wine producers – the delectable Stopham Estate Pinot Gris 2015. This wine has an Alsace-like richness and aromatic, cut through with a striking, driving acidity. And then there’s the pair of oaked examples from Surrey in the form of the punchy Denbies Vineyard Select and the beautifully textured Gris from Greyfrairs. 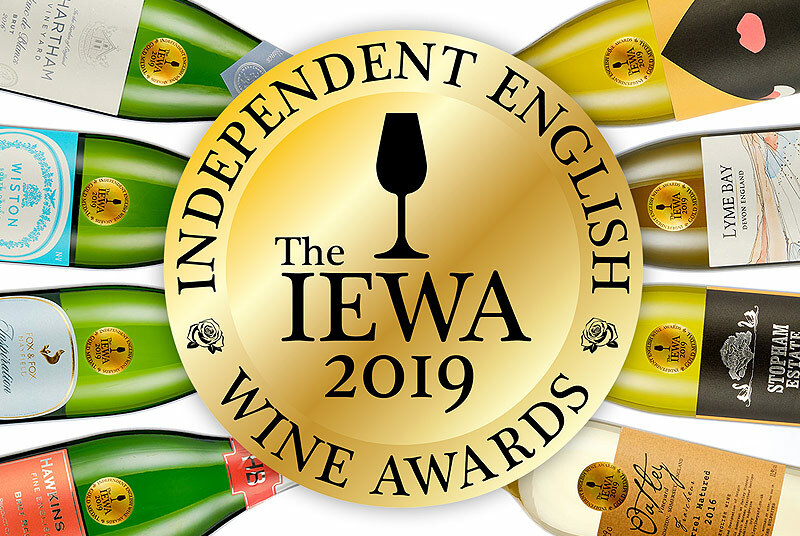 These wines contrast brilliantly to the lighter examples and suggest that richer and more indulgent still white wines can be made in England with carefully integrated oak ageing and malolactic fermentation. 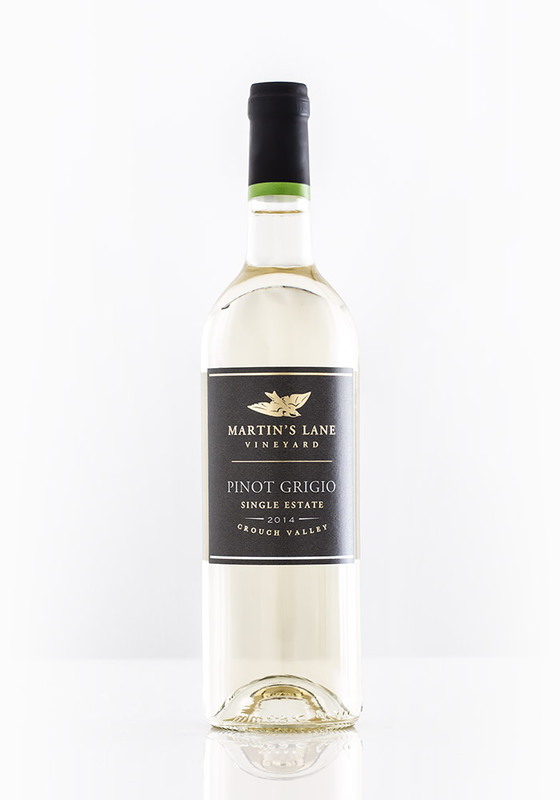 The Martin's Lane Pinot Gris is very exciting too and will be well worth a try when it is released in the new year. Finally, we have the delectable sparkling Pinot Gris from Fox & Fox. Whilst it was not fair to judge it alongside the still Gris, it was an excellent demonstration of what the grape can bring to a sparkling wine. 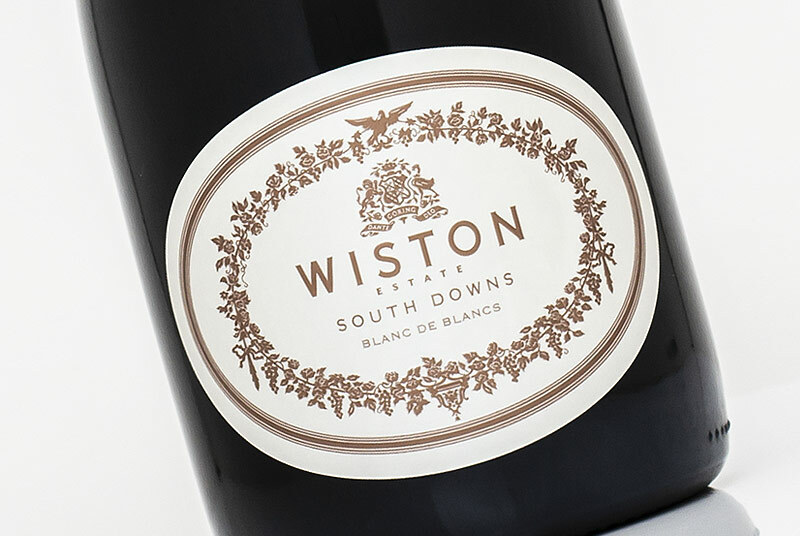 Based on the response this wine has received since release, we expect to see more utilisation of Pinot Gris in English Sparkling wines over the next few years. Look out early next year as we turn our focus back to English Bacchus. Please get in touch and let us know if you'd like to see us dive into a different variety. Great post – the Stopham Estate sounds like an experience, and it’s always great to hear about a flexible pairing wine that still offers excitement like that Fox & Fox Inspiration Brut.